I believe that it’s somewhat rare for children to truly get to know their parents. Often, children leave home at the age of 18 and each person gets frozen in time. For me, for whatever reason, my mother is forever 38. The age when she was still young yet powerful. For her, I’m sure at some level, I’m forever 18. The age when I left and she stopped seeing all the nuances of my life and all the changes I’ve encountered. It’s even more difficult when you’ve moved hundreds or thousands of miles away; visits inevitably catapult each party back into their respective roles, their respective ages, and places in life. It’s why parents, no matter how old their children, sometimes still act like their children don’t know enough about life. And it’s why, even though it comes with a hefty amount of frustration, children allow it to happen. But sometimes, in the most unexpected ways, you get to know your parent in a real way. This is the brief story of how that happened for me. It all starts ten years ago, when on some sort of whim, I decided I really wanted to study abroad in Italy. With very little planning and a whole lot of trust, I signed up for my university’s Summer program to Rome. Coming from a middle class, but not the kind where there is a lot of disposable income, family, I had to use some loans and grants to get there. The issue was my plane ticket- I couldn’t cover that with education loans. And so my mom offered to help. She also had a lot of airline miles, saved up from years of points on a credit card. The plan was that she would help me with my ticket, I would work toward paying her back, and she would use her points to fly herself there for a visit. Instead, in typical mom style, she used her points to get me there. Fast forward ten years later and she still hadn’t been to Italy. It had been a dream of mine to get her there, a debt unpaid, but more so an adventure not had. I worked my way through grad school, having enough money to do the things I wanted to do and take care of myself, but still in that place of not having a whole lot left over at the end of the month. It took me ten years, countless hours of studying, and many nights spent worrying about money to finally get a job and to a place where I had some sort of income. Travel has always been important to me, so I save what I can in a special account dedicated to travel. Truth be told, it’s one of the only things I’m good at saving for, one of the only accounts I don’t touch for any other reason. If you want to know where your priorities are, look at where you spend and save your money. 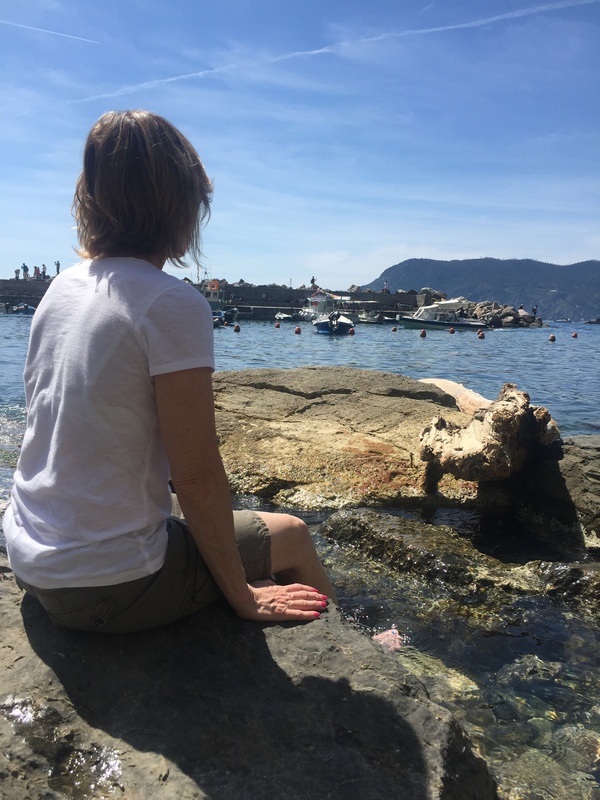 Once I got a job, my mom and I started to talk about taking a trip together: many ideas floated around, but at the top of both of our bucket lists: Italy. I knew what I wanted to do, but I didn’t want her to know because she would’ve never let me do it. And so over time, sneakily going along with the idea that she would pay her way or maybe we’d have to change the plan, I saved. Come fall, I had saved enough to buy our tickets at a deal of a price. I waited until Christmas (impatiently) to give her the ticket. There are a lot of situations that cause writers to say things like “words cannot explain it.” That moment, the one where I handed her the ticket and saw the look on her face, is one of those moments. Despite what I do with words, they never seem to arrange in quite the right way to express how I felt, what it was like. And so I leave it there. It was an indescribable moment for me- one that I can feel but cannot verbalize. And thus is the importance of living your own adventures instead of living through someone else’s. My mom is a planner- she is always prepared. When I was a kid, whatever I needed somehow existed in that purse of hers. Bandaids, bugspray, sunscreen, tissues, any kind of pain reliever. Like magic. Of course, the truth is, my mom was just a really good planner. A dose of anxiety with a pinch of Type A personality and a good amount of high energy equals my mother. So when we planned for Italy, she planned for Italy. She got advice from others, asked millions of questions, packed, repacked, unpacked, then bought packing cubes and packed again. I planned the route, booked rooms on Airbnb, figured out train tickets and brushed up on my Italian language skills. It was the most planning I’ve ever done for a trip. Somewhere in me, I felt responsible for making sure she had an excellent time, and it felt like having it well mapped out was a decent way to do that. Of course, I’m a completely Type B personality, so I still left a good amount to be planned once we got there. Surprisingly and to my delight, my mom was completely on board with this. We already felt like good travel partners. Most of the time, planning and execution don’t look the same. You run into setbacks and snags. With this trip, everything went almost perfectly. 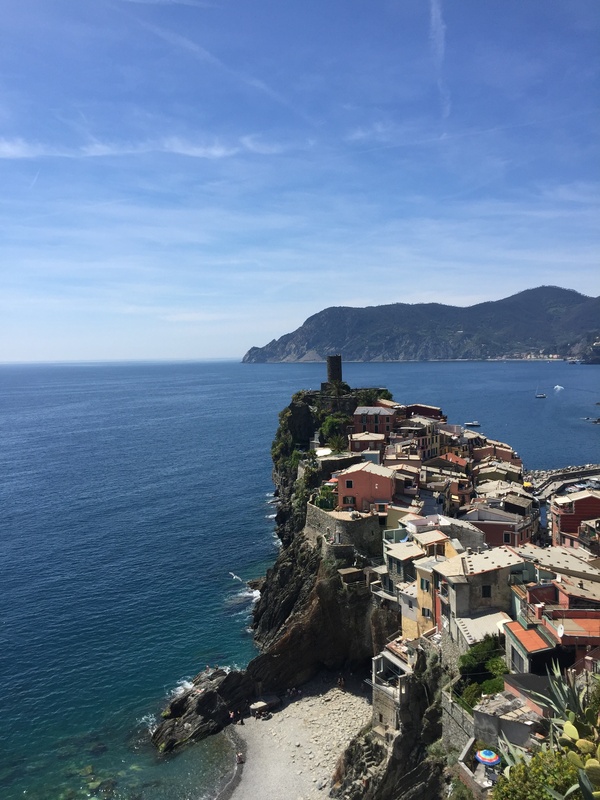 There was brioche, mornings spent sipping espresso, meandering around the parks of Florence, adventures to the top of cities, an afternoon spent hiking through the towns of Cinque Terre, pasta, gelato, pizza, wine, and cheese. Oh, the cheese. There were warm nights spent in piazze, musicians serenading us while we dined outside at a little local restaurant in Trastevere, a night we ate too much and ended up on Ponte Vecchio listening to live music. People speaking different languages that made their conversations sound poetic and important.There were the train rides through the Italian country side with crusty bread, salty cheese, and cold wine. Throughout the trip, my mom kept exclaiming “it feels like a movie!” Something about Italy just feels like it couldn’t be real life. Like the morning we both woke up way too early from jet lag and wandered our way through the deserted, winding streets of Venice, only to find ourselves in a vacant St. Mark’s square. 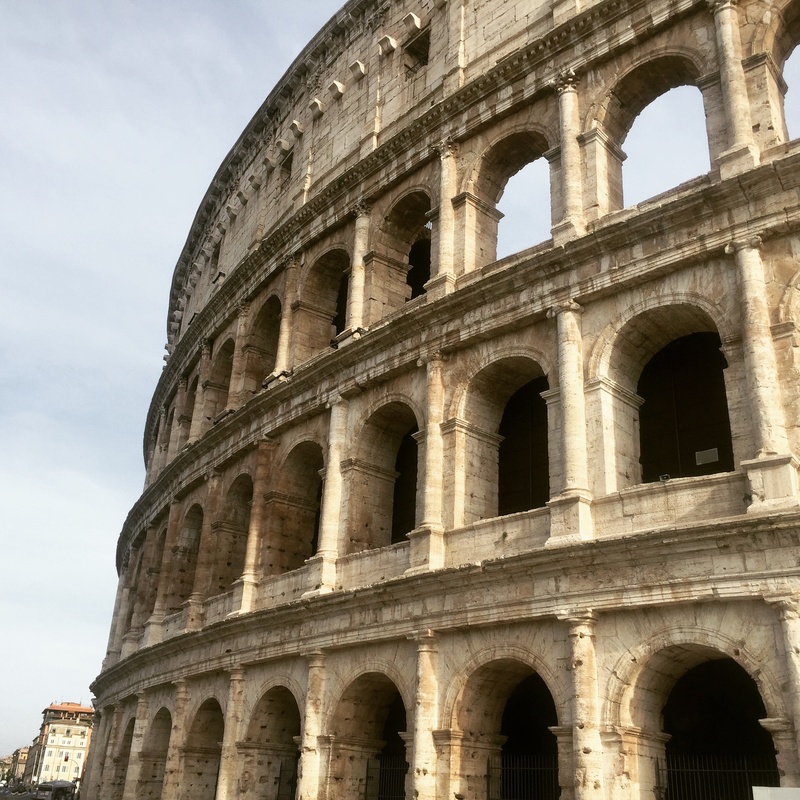 There was the time we got into the Colosseum in less than 5 minutes and with no line, only to wander around it practically alone and in silence to feel the history still living in those walls. And there was the night that, after dinner, my mom and I grabbed a bottle of wine and drank it while sitting perched on the steps along the canal in a dark but lively Venice. Those are moments that only exist in a place like this, those are the moments that shoot nostalgia, joy, and love through my entire body. Of course, there were the not-so-great moments too. Like getting in late to Milan and having to meet our gracious host Stefano at 3 in the morning after lots of anxiety that we might have to sleep on the street that night. There was the pouring rain that caused my mom and I to sprint through the cleared streets of Venice one afternoon, and the cold, pouring rain we had to stand outside in for almost an hour waiting for our very late bus driver. And of course, there was the nightmare of the return trip home. The thing about travel and the mishaps while doing it though is that once they’re over, they become great stories. Or least, great lessons. Which brings me to the biggest lesson I learned on that trip. I’m used to traveling solo; there is nothing like only being responsible for yourself and getting to make your own decisions on a whim without consideration of anyone else’s needs or wants. This is why I barely plan- planning and details are stressful for me. My mother had never been overseas, so what was all-at-once exciting for me, was all-at-once shocking and different for her. The frozen, freaked out look on her face in the Istanbul airport was just the beginning. She was in awe, she was soaking it all in and trying to process an overload of information. And she can’t speak any of the language. Which led me to being her travel guide, her body guard, her interpreter, and her daughter. It was a role reversal in a big way. I’m also the kind of person who needs alone time. But just like you can’t leave a toddler unattended for too long without something bad happening, I couldn’t leave my mom alone to fend for herself in a new and confusing place. Choosing to travel with someone is a test and a good way to get to know someone really fast- you see their insecurities, their anxieties, what frustrates them, what scares them, and what excites them. You see their style of adventure, what they are and aren’t willing to try, how they deal with adversity, with difference. You see them when they’re exhausted and jet lagged and not so pretty after a ten hour flight. You even learn what it sounds like to hear them breathing in the middle of the night. If you want to really know someone and see if you can handle each other at your worst, travel together. It brings out all sorts of demons. Especially traveling the way that I forced my mom to travel- new cities and beds almost every night, a train to here, a bus ride to there, no 5 star hotels or tour guides leading the way. 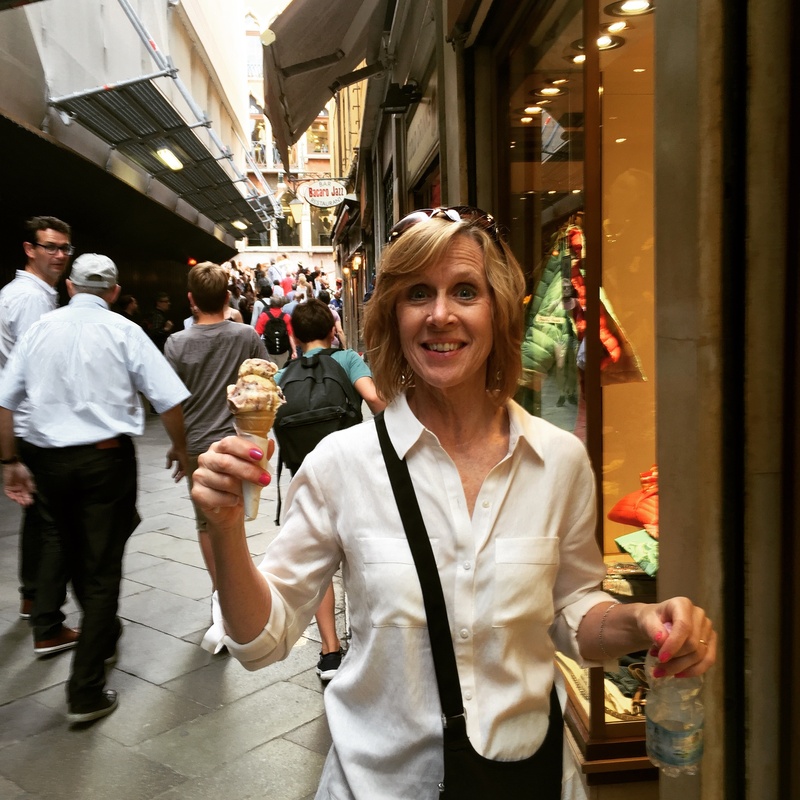 We were gone for 10 days, including travel time, and we went to: Milan, Lugano (Switzerland), Venice, Florence (on the way down and back up), Cinque Terre, Rome, Sienna, San Gimignano, and Monteriggioni. It was fast paced, it was stressful, it was a lot. So it’s no surprise that at some point, one of us was bound to be a little on edge. My breaking point happened in Venice. I was tired and overwhelmed. Apparently getting there when all the cruise ships have come in for the day makes it like being in Disney World at the peak of the season- crowded, touristy, hot, and noisy. Nothing idyllic about it. I wanted to eat, I wanted to drink wine, I wanted to be able to breathe. But I had to watch my mom, I had to make sure she was ok, and to be honest, my love of consuming things far outweighs hers. It took me until the next day in Florence to really break on her, though. We were standing there after a hot walk through the busiest part of the city, and I was asking her if she wanted to go into the Boboli gardens. She kept saying “I don’t know.” And then it happened- all of the decision making had rested on me and I needed her help. Instead of being the mature 30 year old I am though, I was still stuck at 18 with her. I still didn’t see that I was allowed to be the person who gets frustrated, the person who likes to eat a lot and maybe likes to drink too much wine. And I still didn’t see that I could relinquish control or that she was perfectly capable of handling her own reactions. And so, I yelled (or at least as close to yelling as I get). 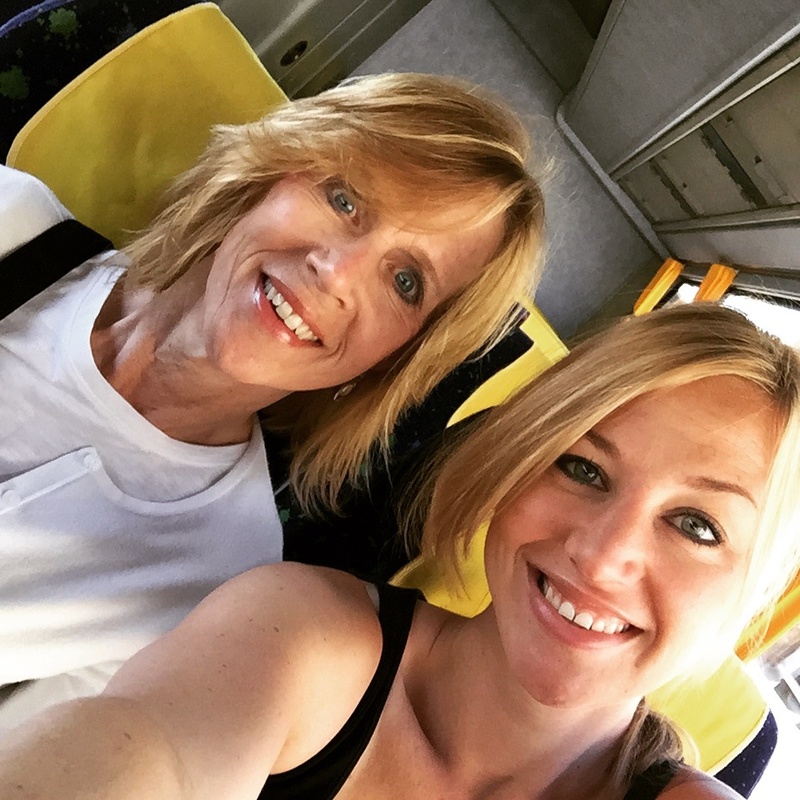 In that moment, I realized something that I hadn’t before: I was unfairly asking my mother to be someone she wasn’t. I was asking this of her because it was too difficult for me to let go of the mother I wanted to have. I was asking this of her because I felt overwhelmed and stressed and I wanted her to be that superhuman who I envisioned in my head- the one who could kill monsters under my bed and make the world a safe place to be. The one who made everything make sense even when it didn’t. But that demand was also getting in the way of something very important, it was getting in the way of me having a real relationship with my mother. My mother who is a human. My mother who has flaws. My mother who gets anxious and scared and confused like we all do. My mother who is a beautiful person and has so much to teach me from a place of real, human experience. It felt safe, but it was cheating me. It was cheating me of getting to know this person who won’t be around forever, no matter how many times I insist she isn’t mortal. Sometimes, when a deep realization hits, it sinks down slowly, taking its time and impacting you bit by bit. This one hit with force. It was if I was in the middle of raising my voice to her and suddenly, wam! I was transported into a different reality. I might actually argue that I left my body for the briefest of seconds and saw it all unfolding around me. And then it sunk, Deeply. There was a surreal sense of relief that came with it. Somehow, when I let go of that fantasy, it gave me permission to let go of the idea that I needed to be someone for her too. Looking back, I can see now that I chose to bring her to Italy for a specific reason. When I first booked the ticket, I believed that it was because she missed the opportunity so long ago and now I could provide that for her. Now, it seems obvious why I would want to bring her to the one place that brings me more joy than anywhere else, the one place that makes me feel more alive and more like me than anywhere else. It seems obvious that I wanted the chance to really know her and for her to really know me. I will forever cherish those memories- and not just the happy ones, but also the ones in which we saw each other for who we both are. One night, I can’t even remember where we were (Rome, maybe? ), my mom and I were lying in bed, exhausted, but still too excited to fall asleep. I don’t recall what we were talking about, but I remember laughing. I remember laughing a laugh that comes from deep in your gut. It was familiar, like all those nights when I lived at home and we’d laugh together. But it was also different, not because we were in Italy, but because we were both there, just as we were, enjoying each other for nothing other than that. 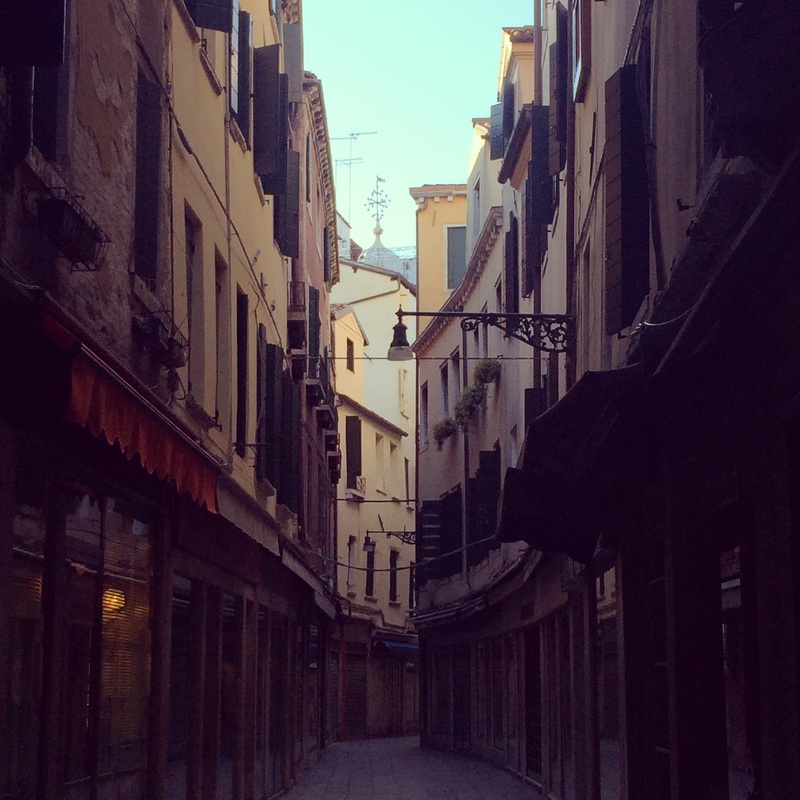 I love Venice- it can get quite busy, so I love it most in the early morning and late evening when the cruise ships have left and it’s a little more intimate. Make sure you head off the main streets and get yourself lost. Enjoy! And thanks for the feedback.